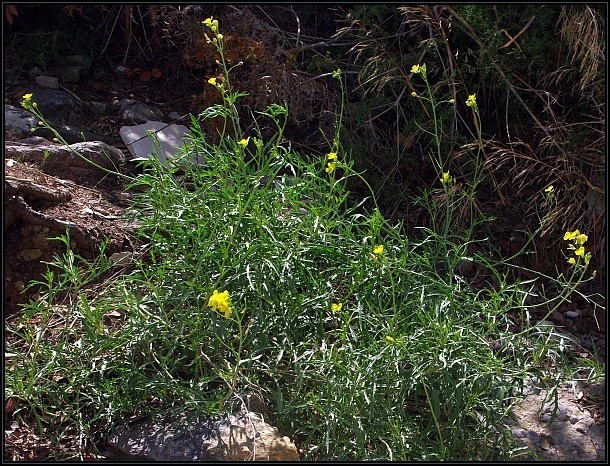 The Wild Rocket (Diplotaxis tenuifolia) is a perennial flowering plant of the Brassicaceae family. 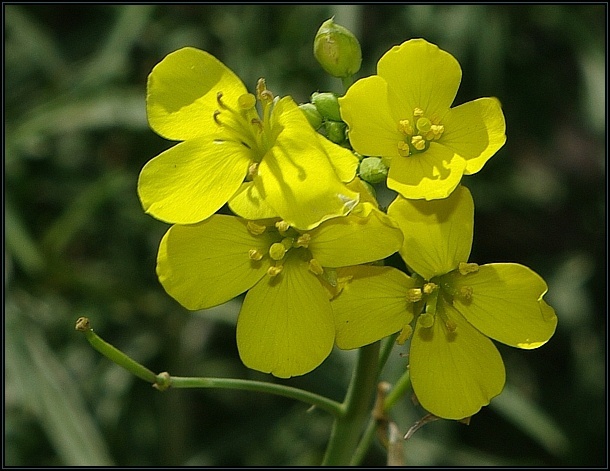 It has a small yellow flower with four petals. 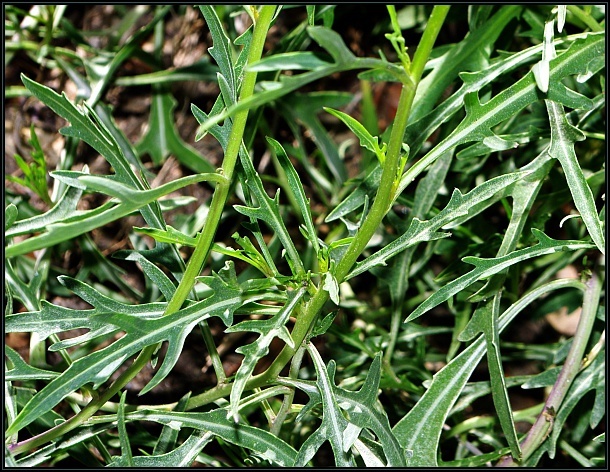 It grows in disturbed ground, along footpaths and also minor roads.